Shazwani Hamid's Blog: Attempting to Be Straight. From dress to their make up, hair, the accessories and the shoes, etc etc! Everything is so..perfect! One thing I really dig about the whole time I watched the show, was theee EYEBROWS! Straight eyebrow that is! I don't know about you but I actually love thicker, fuller eyebrows. I much prefer them to eyebrows that look like they've been penciled on. And I do think, eyebrows are a part of our face that can make or break our look. You know what they say...the eyebrows are like a frame to your eyes! So it is important to arch and groom them nicely! 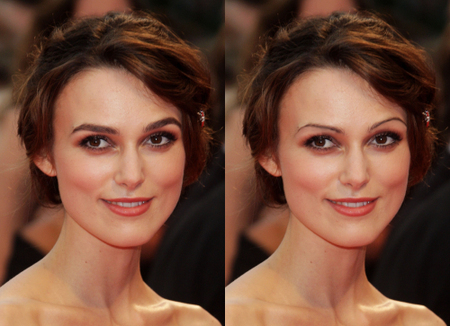 Look how different Keira Knightly look with that skinny & slender eyebrows, and compare it with her naturally beautiful, bold eyebrows. 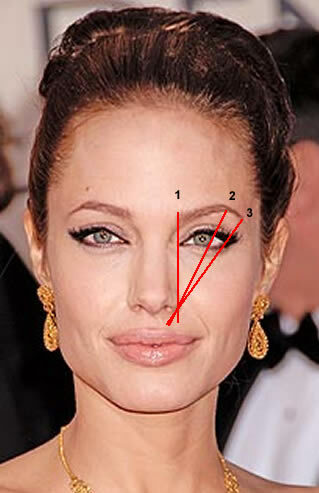 See... different shapes and thickness does affect the entire face and how you would look! So I do think arching and grooming it with the right shape, size and style is important according to your hair color, face shape and your eye shape/size. For me, super thin and over plucked eyebrows are out of date, and not to mention, it kinda look fugly too..and skanky-ish, don't you think? Well...like I said, I have a thing with people with thick, full, straight (just slightly arched) eye brows! Either they're man or woman. I really think those kind of eyebrows are hot! I want that kind of eyebrows. It's lovely! And it's in! It seems that thick eyebrows are staying in fashion for years now.. Think Audrey Hepburn. Remember that beautiful Audrey Hepburn had some of the thickest eyebrows any actress has ever had and she was, and still is classed as one of the most beautiful women to have ever lived. And think Keira Knightly. Brooke Shields. Kristen Stewart. Natalie Portman. etc etc! We all know, eyebrows come in different shape, thickness, color and boldness. But for me, those full (not too thick nor thin for your face), and straight (not really straight but not too arched either), and bold (hair doesn't look too bushy or bald) eyebrows are the best! Look at these celebrities! Their eyebrows are pretty and perfect! Mmmm...Aren't they beautiful?????!!!!! 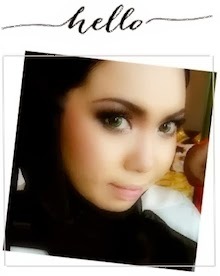 So anyway, after looking at all those pretty celebrities...I also wanna look as pretty as them as well! haha. So I did a little experiment today, without trimming or plucking any hair on my brows, I did that straight eyebrow shape that I have always fond of! And..... This is the result! 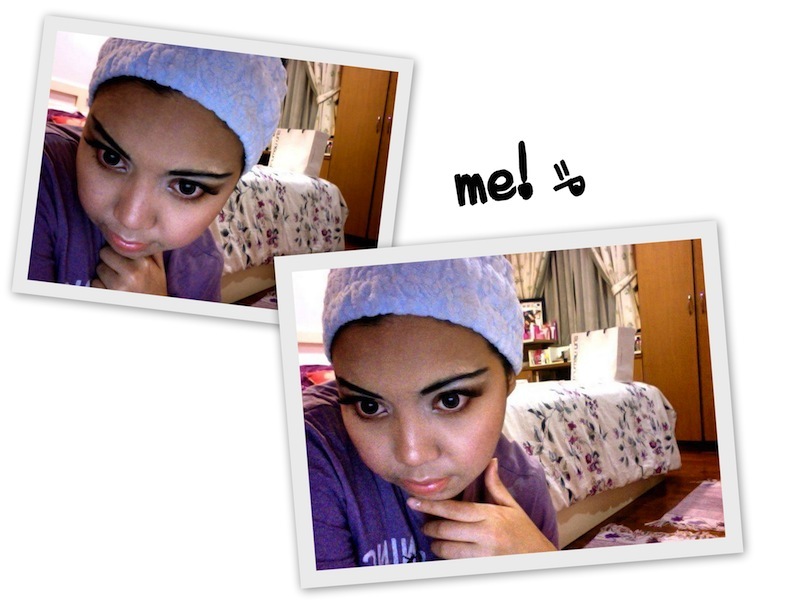 Oh well..I still prefer my natural eyebrow. Easy. Not much work to be done! Take me less than 2 minutes to get 'em ready. This one above, it took me one whole hour just to get my brow straight!! -Well because..I did not trim them. THAT's WHY. huhu..
reshape ur brow using eyebrow pencil mmg boleh...tp utk bacut or cukur haram ye..just a reminder to all..
U nmpak garang la Wany!